Step out of your door and into an outdoor living space that’s functional, inviting and well built. Future Energy specializes in creating outdoor spaces that are perfect for entertaining and relaxing with family and friends. With years of experience, and a skilled qualified staff, we will help you create the outdoor space of your dreams become a reality. Call now and you will be making memories very soon! What better way to enjoy family and friends than to do your cooking outdoors. Outdoor kitchens are ultimate in outdoor living and can vary from a simple grilling area to fully functional outdoor rooms with grill, pizza oven, refrigerator, sink, storage, and big screen TV! Future Energy can custom build your outdoor kitchen to suit your space, style and budget. 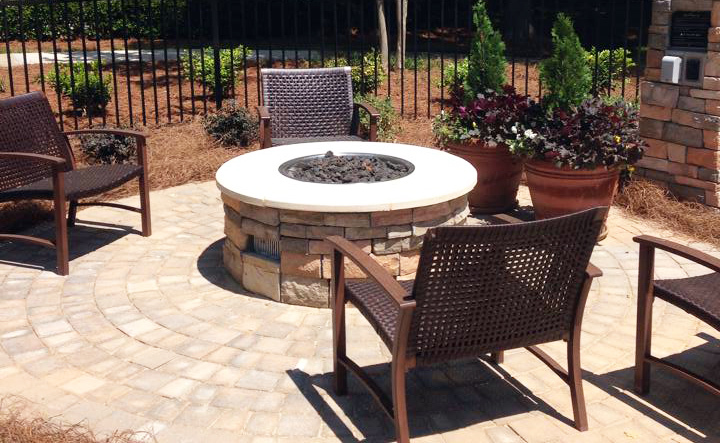 A custom fireplace or fire pit can be the perfect finishing touch on any outdoor space and one of the most useful. Instead of moving inside at the first sign of cool weather, you can warm up by the fire, extending the use of your space. Functional and beautiful they come in all shapes and sizes and a toasty fire can provide an inviting effect while entertaining friends and family. Visit Future Energy today at 130 W Graham St, Shelby, NC to get the fire you desire!